A YOUNG graduate who started going to church because so many of the clients he cares for are religious is in the running for a top award. Ross Camacho’s dedication was rewarded when he was shortlisted as a finalist at the prestigious Wales Care Awards, know as the social care Oscars. He began attending Cornwall Street Baptist Church near his Cardiff home last October and he was baptised this August at the age of 23. “Most of my clients, particularly elderly clients, are very religious,” said Ross. “When you experience end of life care it can be very stressful. 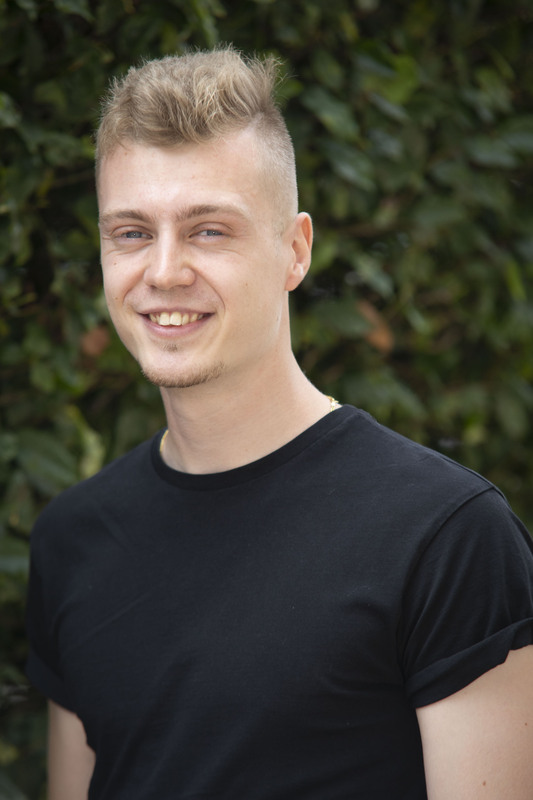 A graduate in biomedical physiology, Ross has been a caregiver at Right at Home in Cardiff and Newport for a little under a year, gaining his QCF Health and Social Care in record time. His progress with his QCF qualification – Qualifications and Credit Framework – was commended by his assessor. He is now studying for his QCF 3 Health and Social Care. He has been nominated by operations director at Right at Home, Viv Foley, in the Exceptional Newcomer category, sponsored by Coleg Cambria, at the 15th Wales Care Awards at City Hall in Cardiff on Friday, October 19. The awards are organised by Care Forum Wales, which celebrates its 25th anniversary this year. Right at Home is based in St Mellons in Cardiff and also covers neighbouring area Newport. Ross, who lives in Grangetown in Cardiff, is a caregiver in the community and undertakes domiciliary calls and also longer companionship calls. Ross said: “I worked for two years in cancer research. The work was very interesting, but I didn’t enjoy the social environment. Viv said all clients, colleagues and office staff are unanimous in the decision to nominate Ross for a care award. “He is kind, caring, committed, exceptionally bright and knowledgeable while remaining humble at all times, treating our clients with the compassion they deserve,” said Viv. 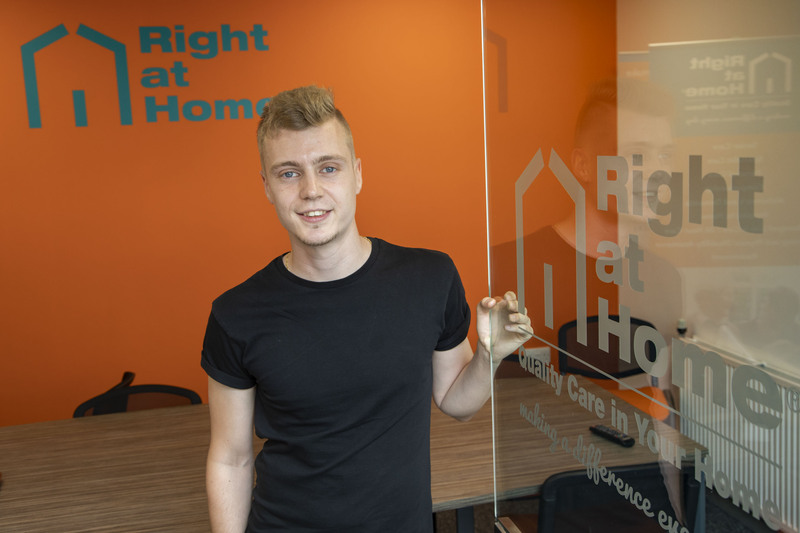 Viv says Ross has developed his skills through Right at Home’s training programme, but also by using his own initiative and self-deve lopment that have really shone when delivering care. “His clients trust him implicitly as do his colleagues, co-ordinators and myself as his manager,” she added. Ross is very well thought of in the community, says Viv, and his values and work ethos are second to none, being a great ambassador for the Right at Home company and also a role model for existing carers and others new to the team. “Ross is exceptional in every way in his role as a carer and in a field of work where male carers are sometimes at a premium, this is a joy to witness and to watch him grow as a carer is something that we find a privilege to be part of,” said Viv. He said: “This year’s ceremony is an even more special occasion because it marks the 15thanniversary of the Wales Care Awards and the 25th anniversary of Care Forum Wales and the event is now firmly established as one of the highlights in the Welsh social care calendar.